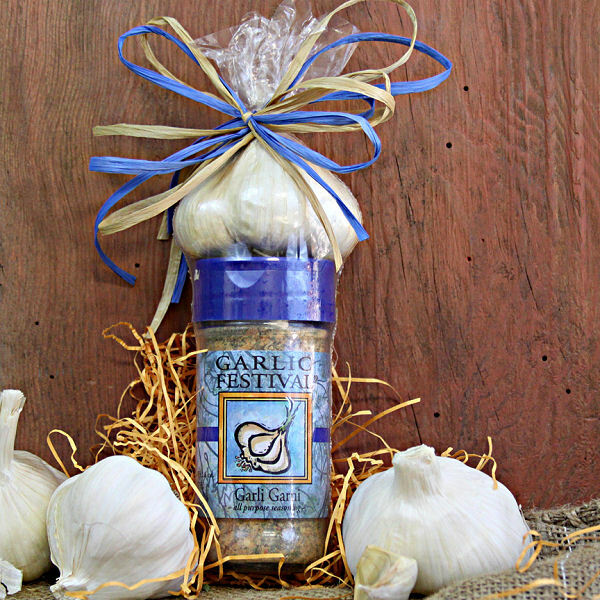 A tiny garlicky gift; perfect for teacher, office, hostess, or gift exchange. Your choice of one of our garlicky seasonings packed with a bulb of fresh garlic and recipes and tied off with a plucky bow. Please note gift packs cannot be gift wrapped. Ingredients: Please see individual items for ingredients. I got some of these for my kid's teachers last Christmas and they were a HUGE hit! A perfect "gift under $10"
Have used this before - just love it on everything! It's great on lamb, chicken, steak, whatever! Purchased this for a gift - great gift item.